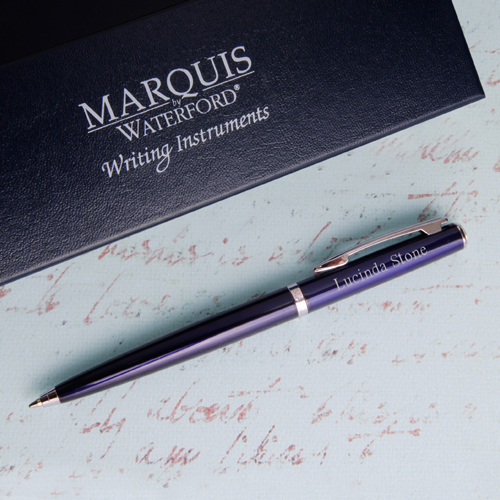 * Nothing says quality like a Waterford pen! 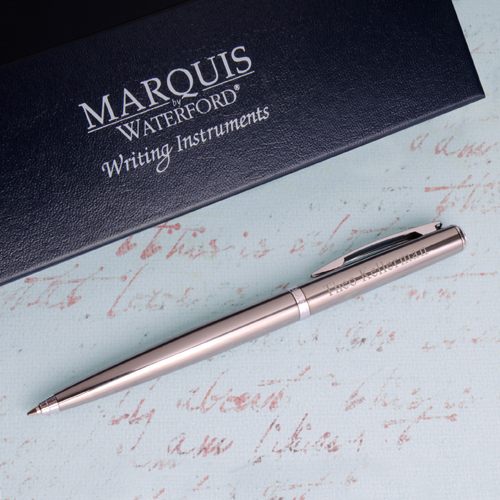 * From the makers of fine Irish crystal, this Personalized Arcadia model is classy and elegant and perfect for the man or woman who requires a reliable writing instrument. 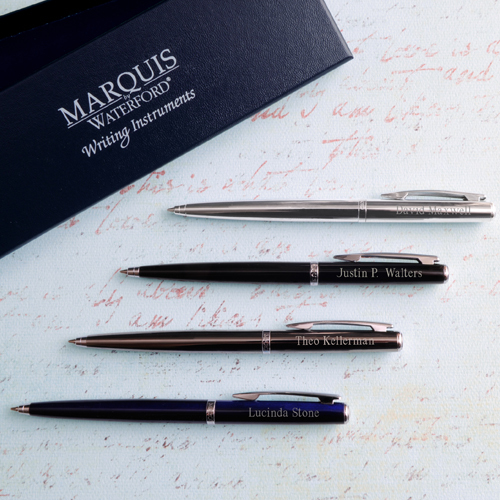 * The ball point style makes it easy to use and refill. * Fashioned from first-class components and craftsmanship, the pens are made of enameled brass and available in four stylish colors. * Pen measures 5 1/4" and includes a 7 1/4" x 2 1/4" x 3/4" gift box. * Select chrome/silver, gunmetal, blue or black finish. * Personalize pen cap with one line of up to 20 characters. 7.25" x 2.25" x 0.75"